Our paper, "Mediation analysis of triple networks revealed functional feature of mindfulness from real-time fMRI neurofeedback" has been accepted in NeuroImage! Hyun-Chul passed his doctoral defense! Hyun-Chul Kim's paper ("Deep neural network predicts emotional responses of the human brain from functional magnetic resonance imaging") was accepted to NeuroImage. Congrats!! Dr. Park's paper ("Gamma EEG Correlates of Haptic Preferences for a Dial Interface") was accepted to IEEE Access. Congrats!! Please send your CV to PI if interested in ! BSPL 연구실에서는 연구에 관심이 있는 석사, 박사과정 학생 및 연구원을 모집하고 있습니다. 관심있는 분은 간단한 자기소개와 CV를 이메일로 보내주시기 바랍니다. 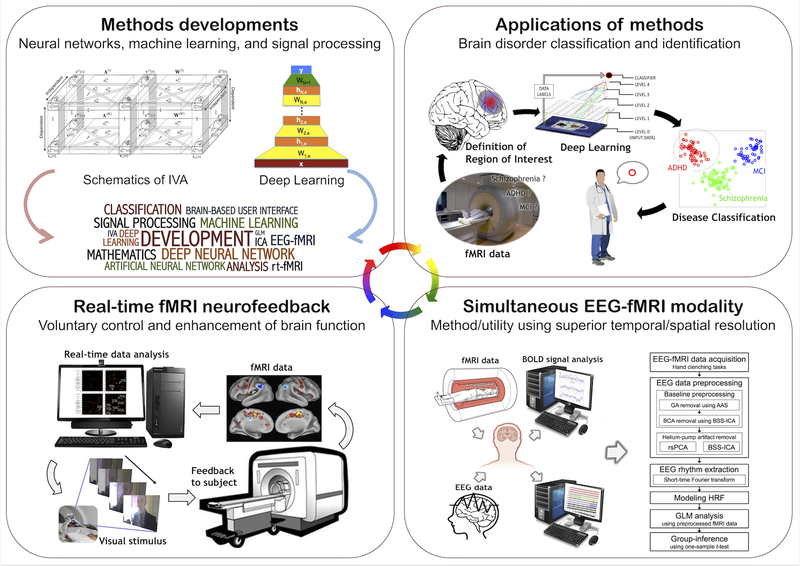 Investigating brain functions measured by various neuroimaging modalities such as MRI (MRI) and electroencephalography (EEG) toward potential applications such as health care systems including brain-computer interface (BCI) and brain-machine interface (BMI) to enhance human performance. Brain engineering and healthcare applications as well as enhancement of human performance via neuroimaging modalities are possible? There are several representative research topics as illustrated below. BSPL 연구실에서는 뇌영상 방법들 (MRI, EEG)을 사용하여 인간 뇌의 기능 및 구조를 연구하고 있습니다. 뇌 기능 및 구조의 연구를 기반으로 인간 뇌의 다양한 기능들을 정확히 이해하고자 합니다. 더 나아가서는, 인간 뇌기능의 분류, 뇌기능 향상을 비롯한 공학적 응용, 뇌질환의 조기 진단 및 예후 예측 등에 응용 가능성을 연구하고 있습니다. BSPL 연구실에서는, 뇌 기능-구조의 이해, 뇌기능의 분류, 뇌기능 향상, 뇌질환의 조기진단 및 예후 예측 등이 뇌영상 방법을 기반으로 가능한지에 대한 궁극적인 질문을 바탕으로 연구하고 있습니다. 아래는, BSPL에서 수행하는 연구 중 대표적인 내용들을 보여주는 그림입니다. Our goal is to investigate brain functions measured via various neuroimaging modalities including MRI (MRI) and electroencephalography (EEG) employing various signal processing techniques, machine learning, and deep learning approaches. We have done some interesting works including the fMRI data analyses using novel analytical methods such as independent vector analysis (IVA), iterative dual-regression of group independent component analysis (ICA) with a sparse prior to better estimate true neuronal activity, recursive principal component analysis (PCA) to EEG-segments of simultaneous EEG-fMRI data, and deep neural network (DNN) to fMRI data. 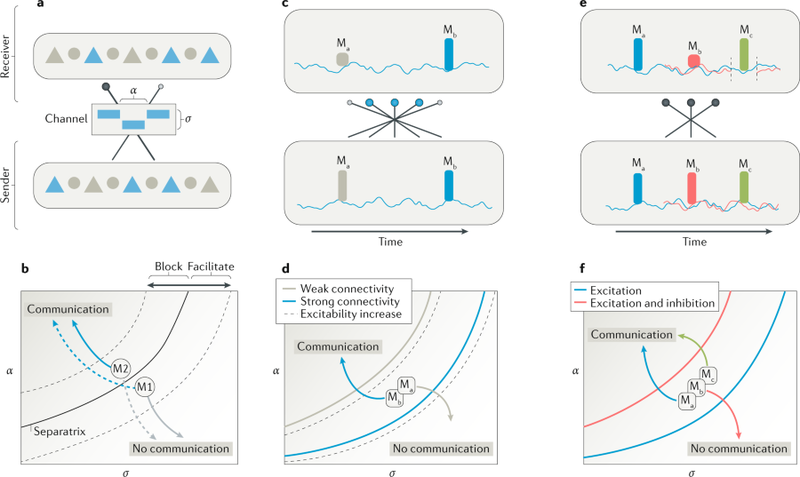 The developed methods would gainfully be applied to the neuroimaging data including fMRI, simultaneous EEG-fMRI, and real-time fMRI based neurofeedback method. Based on correct understanding of human brain functions, we would like to focus on the basic neuroscientific researches as well as brain engineering applications including the BCI/BMI and ultimately on preclinical applications to develop an option to diagnose and treat the various neuropsychiatric illnesses such as depression, schizophrenia, and substance abuse. We believe that the proper analytical methods to exploit the hidden information of the neuroimaging data would lead to better understanding of the human brain and to better engineer the brain and ultimately toward enhancement of quality of life. BSPL 연구실은 뇌영상 방법들 (MRI, EEG) 등에 다양한 신호처리, 머신러닝, 및 딥러닝 방법들을 접목하여서 인간의 뇌기능을 이해하는 연구를 수행합니다. 대표적인 분석 방법으로는, independent component analysis (ICA), independent vector analysis (IVA), deep neural networks (DNNs) 등을 이용하고 있으며 새로운 아이디어를 추가하여 새롭게 개발하고 있습니다. 이러한 분석 방법을 뇌영상 데이터에 접목하여서, 인간의 뇌기능을 이해하고자 하며, 이를 바탕으로 뇌기능의 정량적 측정, 뇌기능 자동분류, 뇌기능 향상, 뇌기능 이상의 조기 진단 및 예후 예측 등의 연구를 수행하고, 이를 바탕으로 궁극적으로 인간의 삶의 질 향상을 위한 목표를 갖고 있습니다. BSPL 연구실에서는 이러한 연구들에 관심있는 석사, 석-박통합, 박사과정 학생 및 연구원을 모집하고 있습니다. 관심있는 분은 간단한 자기소개와 CV 등을 이메일로 보내주시고, 추가적으로 궁금한 사항을 문의하기 위한 면담을 요청해 주시기 바랍니다. Best poster paper award at the Brain Engineering Society of Korea (BESK) Winter symposium 2019 (Niv Lustig), Many Congrats!! A & I NVH Lab. kickoff, Many Congrats! Best poster award at Korean Society for Human Brain Mapping (KHBM) 2018 Autumn Symposium. (Juhyeon Lee, Hanh Vu), Many Congrats!!! Oral Presentation invitation at PRNI 2018 (Hanh Vu). Many Congrats!! Best Oral Presentation award at the 5th ANNUAL CONFERENCE OF VIETNAMESE YOUNG SCIENTISTS - ACVYS 2018 (Hanh Vu). Many Congratulations !! 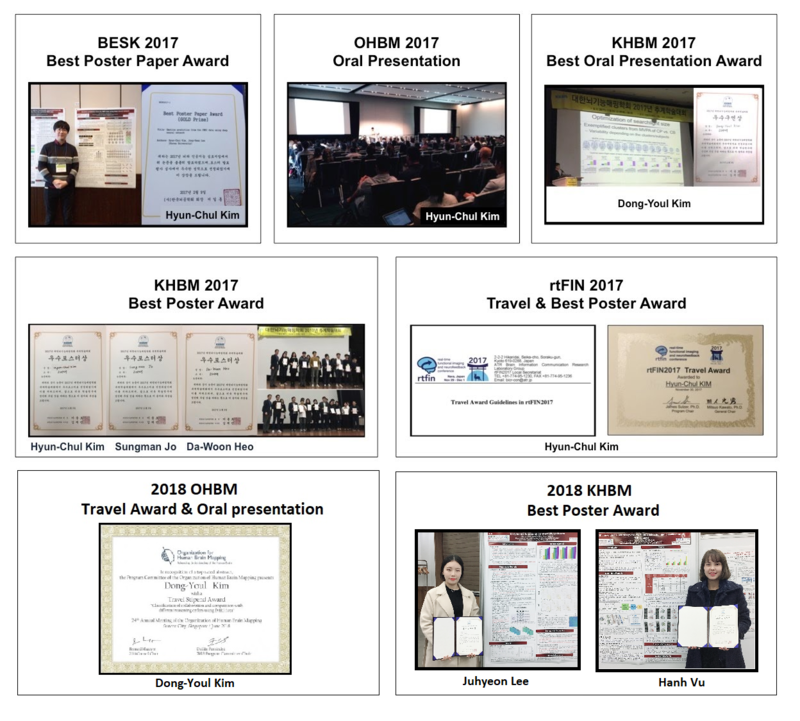 Oral Presentation invitation and Travel Award at OHBM 2018 (Dong-Youl Kim). Many Congrats!! Best poster paper award at the Brain Engineering Society of Korea (BESK) Winter Symposium 2017/2018 (Hanh Vu). Many Congrats !! [2019.02.21 - 23] Brain Engineering Society of Korea (Best Poster Paper Award! ), Feb/2019 Many congrats!